Hello All and Welcome to October's KYN Update. Before we get on with the village news, we have had a note from Seal Parish Council, to let everybody know that GP surgeries are extending their hours. This is to improve access for people who have struggled to take time away from work, school, etc. Please check your own surgery website, to see how access is improved for you. 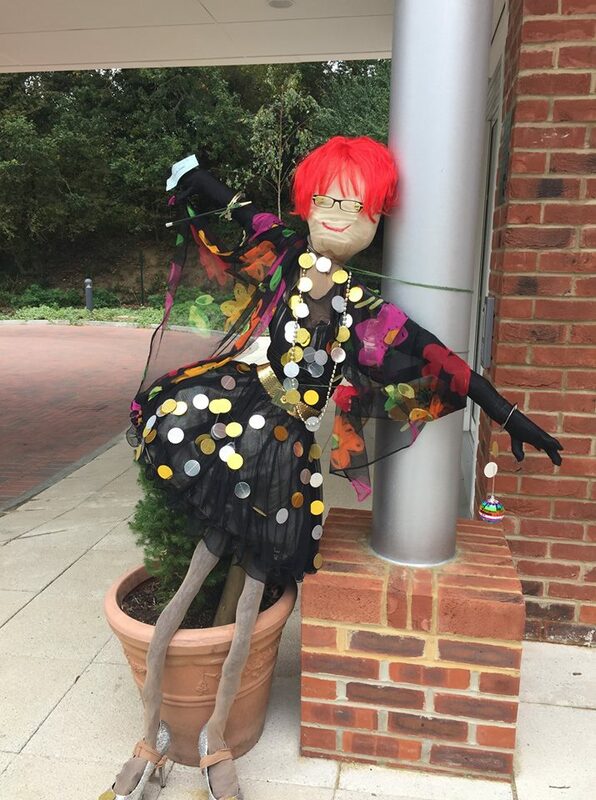 As ever, the scarecrows (many of which are still with us), have put smiles on the faces of people as they pass through our village. We changed the system a little this year, by giving you the chance to vote for your own favourites. The votes were counted last night, at Seal Church's Harvest Supper, and the winner was Seal Beavers' Campers on Church Street Green. Many other votes were made, and no entry was passed by with no votes at all. However, the Beavers won by quite a way. 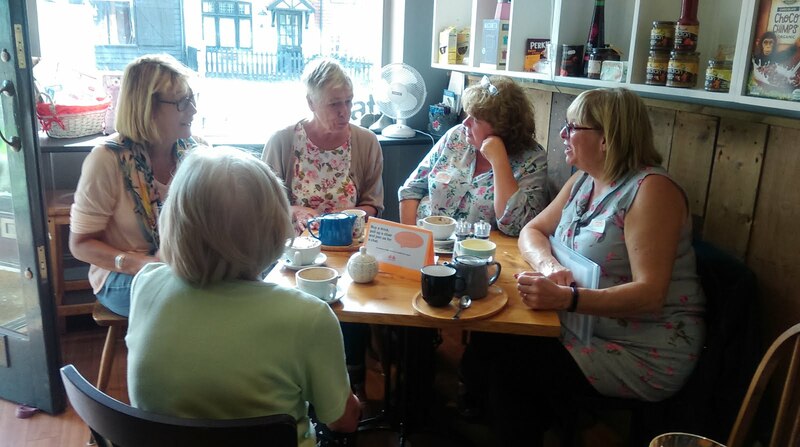 Congratulations to them - a great entry! Watch out for next year's festival, as there will more changes still. We are setting up a Facebook page with photos of all entries, and voting can take place on FB. For those who do not engage in social media, you will still be able to take the trail and vote as this year. Many thanks to those of you who got involved, and entered a scarecrow, and to those of you who voted. 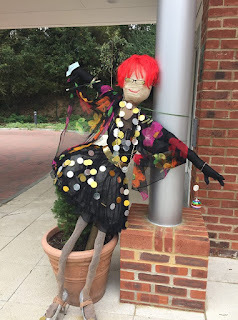 Just a little aside, a few scarecrows were vandalised ( though successfully operated on). and one was actually kidnapped (crownapped??) and was found dumped in Childsbridge Lane. He was taken to safety to Seal School, but I'm not sure that we found the poor chap's creator in time for the judging. However, as always, the perpetrator of these acts, probably had less fun carrying out their attacks, than we did enjoying these creations. Whoever he or she is, is a very brave soul, or possibly never read Worzel Gummage! The Harvest Supper and Quiz, was a great evening - excellent food, good quizzing, and lots of laughter! What more could you want on a rainy Saturday night in October. 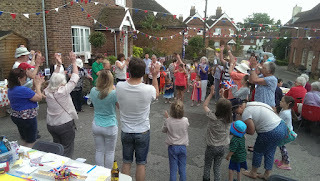 The event raised £362 for St Peter and St Paul Church Away Giving. Our brand new care home, Lavender Fields, is now well and truly open, and the staff and residents are getting involved in our community. You will have noticed their beautiful scarecrow, STRICTLY KAREN (modeled on Karen ,the Manager of Lavender Fields allegedly). It would be great if some of you could join the small team of volunteers, already visiting, or planning to visit, the residents in this beautiful home. Of course, DBS checks will be essential, but the staff at Lavender Fields will organise this for you. If you are interested, either give them a call, or e mail me. 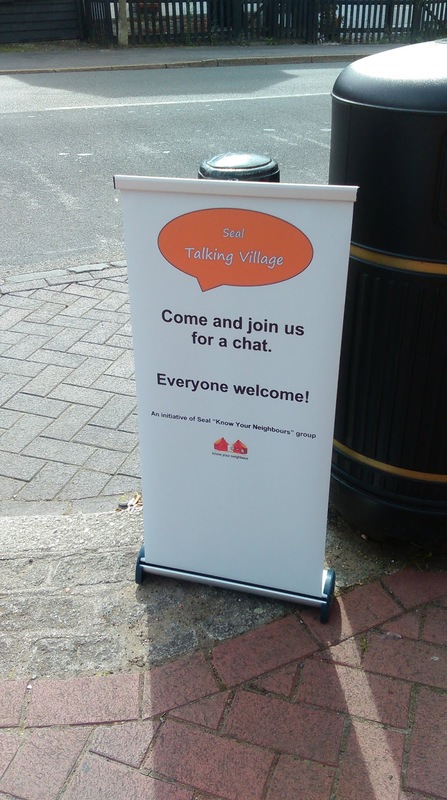 Don't forget our regular "Talking Village" drop in sessions on Monday afternoon at Birch's cafe. 1.45-3pm, and Friday Group every Friday morning in the church hall from 10-12 noon. NOW, OUR DIARY OF EVENTS FOR THE NEXT FEW WEEKS (JUST SO YOU SAVE DATES)! SUNDAY OCTOBER 21ST - SEAL SCHOOL FIREWORK DISPLAY - SEAL SCHOOL FIELD - GATES OPEN AT 4PM - ADVANCED TICKETS AVAILABLE FROM SEAL SCHOOL PTA OR SEAL GENERAL STORE. 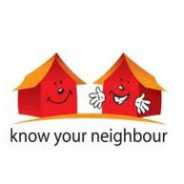 THURSDAY NOVEMBER 8TH - KNOW YOUR NEIGHBOURS - AT SEAL SCHOOL - PAMPER AND PROSECCO EVENING - 7PM-10PM. Another first for Seal! Tickets £8 to include a glass of Prosecco on entry and a take home goody bag. A variety of treatments available at approximately £10 per treatment - reflexology, facials, Reiki, Indian Head Massage, Shoulder, neck and back massage, mini manicures, pedicures etc. Book your tickets and treatment with Jessica Stupple 07801 187 029 or like the Facebook Page - Pamper and Prosecco Evening Seal. The proceeds from this event will go to Seal Village Association, which will be financially supporting our Christmas lights this year. Sunday November 4th - 6.30pm - ALL SOULS SERVICE at St Peter and St Paul's Church. A gentle service commemorating those we love who have died. 10 am - Remembrance Service at St Peter and St Paul's Church, finishing with 2 minutes silence at the War Memorial in the churchyard. 6.30 pm Short service to mark the anniversary of the end of WW1, followed by the ringing of the church bells. Monday November 12th - 7.30pm - Seal Village Hall - History Group - Talk on The Overlooked Triumph - Victory 1918. Saturday December 1st - Seal Village Hall - Seal Cubs and Beavers Christmas Fair - More details to follow. Friday December 7th - 7.30 Church Hall - Make Your Own Christmas Door Wreath - A Seal Church Event. Saturday 8th December - Know Your Neighbours Family Christmas Party - Village Hall 5pm - 7pm. 11am - Mini Christmas Fair. - Christmas gifts, Christmas decorations, games, cards, etc. Friday December 14th - 7.30 - Church Hall - Make Your Own Table Decorations - A Seal Church Event. Well - that appears to be it so far, for 2018. Please let me know what you are planning for 2019, so that we can help you to spread the word.